Radishes are known for its long shelf life and fast crop yield. But what they don’t know is that radishes have a way to be stored so that it will last longer. This proper way of storing needs to be studied carefully so that you can get the best out of your crop. The technique on how to prolong the life of a vegetable isn’t always implicated with planting season. There are ways on how to store radishes where you don’t need to extend the planting season. In this article, we will be teaching you the ways on how you can achieve this. By simply following this guide, you will be able to keep your radishes fresh for long periods of time. You can keep them stored until you want to dispose of them by selling it to your local market. Or dispose of it by consuming it together with your family. Radishes are medium-sized vegetables that belong to the root class crops. Their appearance can vary between white, red, or violet. And depending on its color, it can grow either as lengthwise or round shaped. It also depends on the variety that you pant. Radishes can be eaten cooked or raw. It has a lot of benefits if you regularly consume it together with your daily diet. It can also treat certain types of ailments and diseases. Such as cancer, respiratory diseases, and aids digestion. Some nutrients that you can get by eating radishes are vitamin C, fiber, and calcium. Regular consumption of radishes could also boost your immune system. This why radishes are important not only as a crop but also as a source of nutrients. Before we start on our guide, it’s important to know why you need to store radishes. There are a lot of benefits that you can get by storing radishes. One important benefit that you could get is that it prevents your radishes from rotting. Radishes in general already have a long shelf life. But if you’re planning to transport radishes to a different location. You’ll need a good process to keep it clean and fresh for the next couple of weeks. This process will help protect your crop from decay. Another reason to store radishes is that. Storing them will preserve their natural nutrients. The nutrients that you can get by eating vegetables will decrease over time if not consumed. This is why storing radishes is important for you and your crops. Now that you know what radishes are and why it’s important to store them. It’s time to know how to store them properly. 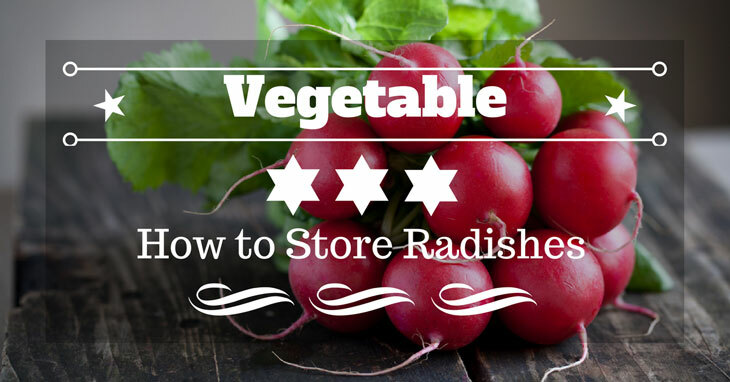 This guide will help you decide on what kind of method of storing radishes that you’ll use. One of the basics of storing crops is by storing it in a cold frame. 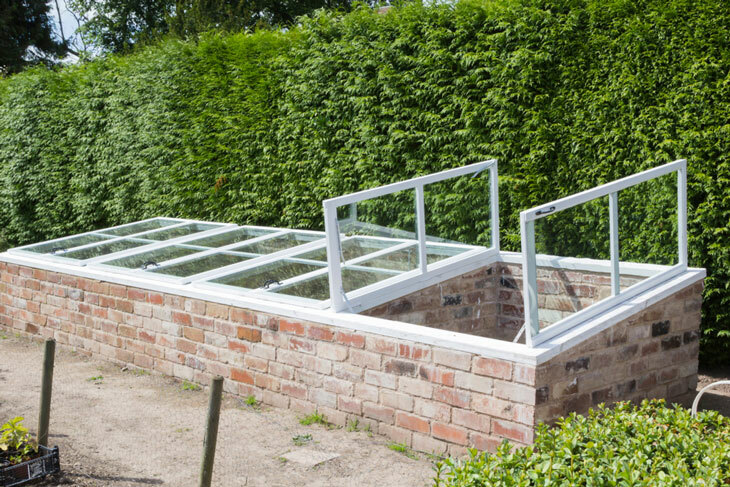 A cold frame is a closed box with a transparent cover or top. This form of storage is the best way of extending your crops shelflife because it is kept in a safe place. The cold frame will preserve the radish for as long as possible. The nutrients of the crops will be preserved and maintained. This method is easy to do and requires only a few things. You can do this method for 2 hours. The first step in cold frame storage is to complete the box before you get things started. To make a cold frame you’ll need to take the wooden box and modify it. Change the top cover of the box into a transparent frame. To do this you’ll need to replace it with a glass frame. Next, assemble the box and place it level on the ground. You’ll have to make sure that the ground is level because the cover might open and expose the radish. Finally, harvest the radish and clean it before placing it inside of the cold frame. The cold frame will act as a mini greenhouse that will preserve the freshness of your radish. This will make your radish last for more than its average lifespan. If you’re not into building things like a cold frame. Then the tight seal method might be what you’re looking for. This method requires no hard labor as it only requires you to do simple tasks. You can do this easily by using simple tools. Storing radishes In a tight seal is the cheapest way of storing radishes. This method can be done quickly and effortlessly. You can do this kind of storing in different kinds of crops. It’s an effective way of keeping your crops fresh. The first step is to harvest your radishes. Make sure when you harvest your crop that some of the soil is still intact of the roots. This is important because this method will not work if the radish is cleaned. The next step is to remove the greens of the radish and place them inside of the ziplock. Don’t clean the radish when you put it in the ziplock because it will affect the preservation. The ziplock will keep the radish clean within the next few weeks. And finally, wrap the ziplock inside of the paper towel so that the radish will remain unscathed. Put the bag in a small place that’s dark and moist. This simple trick will extend the life of your radish by a couple of weeks. This type of method is a combination of the ziplock and the tight seal method. In this type, you’ll need a cellar or a basement for this method to work. And if you have a basement then this might be the only tool that you’ll need. It’s fairly easy to do and it’s effective. The first step in this way of storing radishes is to harvest and clean the radishes. In harvesting, make sure that there are no molds or rotting roots. 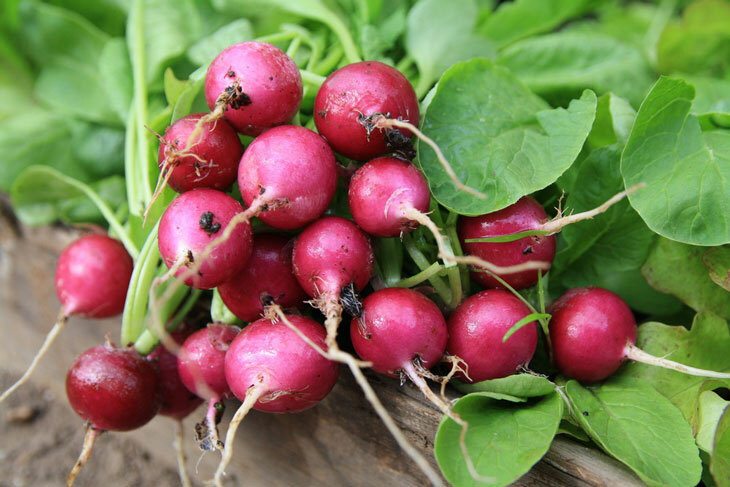 If you happen to see rotting roots and molds, cut it out so that it will not affect the healthy radishes. Next is to get the wooden box and fill it with soil. This soil will serve as your radishes home for the next 2 to 3 months. Make sure that you don’t clean the roots of the radish. Leave some of its original soil so that it will stay fresh for more days to come. This method of storing works best during the winter season. The warm temperature in the cellar will keep the radishes from decaying. The cold temperature will not be an issue because of the steady temperature in the cellar. Radishes are known for their unique taste and high nutritional value. This is the reason why most people find ways on how to store it properly. By storing radishes you'll be able to preserve its natural flavors and nutrients. As farmers and gardeners, it's your duty to make the best crops available to your consumers. The methods shown above are just some of the many methods of storing radishes. You can create your own method of storing and share it with us. So did you like our methods of storing radishes? If you did, make sure to leave a comment and share this article with your fellow farmers and gardeners. Thank you for reading and we hope that this article helped you in any way.